How to start a conversation with her. A lot of guys dread learning how to start a conversation with a girl, mostly because they are self-conscious or shy. Still, talking to girls is a social exercise that every guy has to learn. Fortunately, you can learn how to do this flawlessly, just by following the tips in this article. Annoy Her. Although you never want to start a downright argument with a girl, annoying her a little bit can bring out her passionate opinions and bring about some interesting conversations. The topics that you choose to talk about will generally depend on how brave you’re feeling at the time of the conversation. It might be best to start with the basics, though, like her favorite celebrity, book or movie. Then, shake your head at her answers and laugh a little to yourself to annoy her. This actually works! Ask for Her Opinion. Everybody has some sort of opinion about everything in life. This fact is what makes opinions such great conversation starters to begin with. If you have no idea what to ask, try coordinating your question with where you are. If you are at a supermarket, for example, ask her about her thoughts on quinoa or acai berries. Not only will this work as a great icebreaker, but if she is a health nut, then you are sure to impress her, as well. Ask for Relationship Advice. If you want to get a feel for what this girl is like when it comes to relationships, but don’t want to sound threatening in any way, try asking her for relationship advice instead. Naturally, you shouldn’t make it sound like you are the one who is having relationship trouble, though. Tell her you are asking for a friend instead. Manipulate her and once you get her to talk to you, you can find out more about her feelings on relationships without being threatening or too personal. Again, everybody has some sort of opinion about everything in life. However, when you ask a girl for advice on something, she will also feel valuable and helpful at the same time. Use a Sneaky Opening Line. Most guys use pickup lines when they approach a girl. Well, how about standing out from the rest and using a completely different line to start a conversation instead? Once you spot the girl that you like, try leaning towards the bartender and saying something like, ” I think every girl secretly likes it, to be honest.” The bartender will probably move away after that and if she is even a little interested in you, she is sure to take the bait and take the opportunity to ask what you were talking about. The best part about this tactic is that you will be sure the girl is interested in you before you try to take things further to begin with. This is the single worst problem, no freakin’ joke. A lot of guys are terrified of learning how to start a conversation with a girl. However, it really doesn’t need to be a scary process how can you make a woman like you if you won’t take the first step? Just follow the aforementioned tips and you should be able to get the ball rolling in no time! Specifically, if you’re looking on a pickup rampage this weekend (or if you’re looking to pick a woman up at work), read this guide. I don’t get the Use A Sneaky Opening Line one. Sounds passive… and what exactly are you going to say to the bartender after that? I love a girl but she already has a boyfriend. But I have make her mine anyhow. Help! Read the other guides. They are at the bottom of the page – look at the section which shows the guides directory. 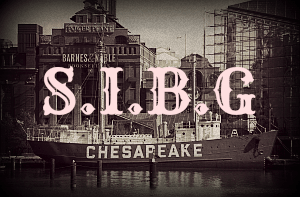 Click it and it should take you to all the SIBG guides.